It is Rosh Hashanah tomorrow. 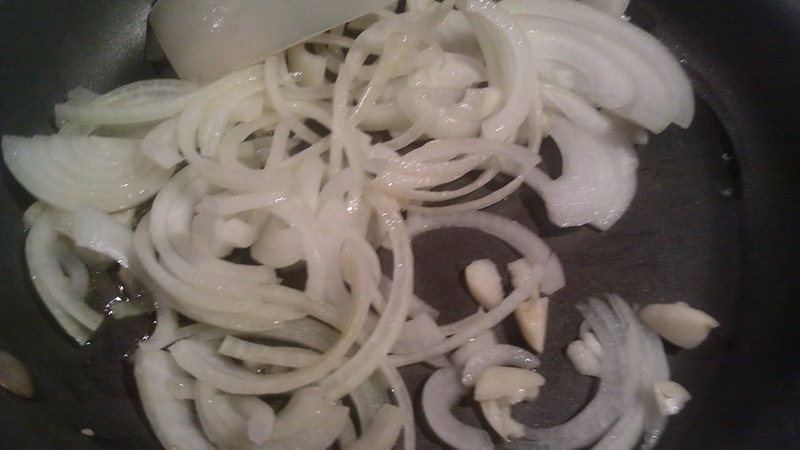 I think of Phylllis, my Jewish mama on every holiday. She would be proud to know the culture that she immersed me in is now being reinforced and renewed by my “partner in crime” at work, Ilene. Ilene is a New Yorker through and through. She moved here a year ago. Through thick and thin at work, we became friends. In some ways, she reminded me of Phyllis. Ilene is also a comedian. One of Ilene’s famous line: She is Jewish, so she makes reservations! Well, I am the cook; there is no question about that. When Ilene first told me about vegetarian chopped liver, I thought she was joking. Well, she wasn’t and she gave me this recipe and asked whether I would make this for her on Rosh Hashanah. How could I say no to a friend? I read the recipe and I was very skeptical, first of all, I am a vegetable snob, I don’t like canned vegetable. 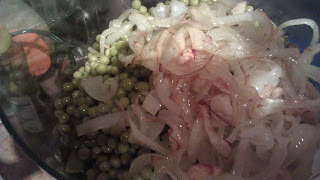 This recipe used 2 of my most dispraised vegetables – canned peas and canned beans!! I thought of changing the mix and use real green beans and peas, then I remembered many years ago, I tried to make the famous Minnesota green beans hot dish with real beans and mushroom, I ended up with soup. 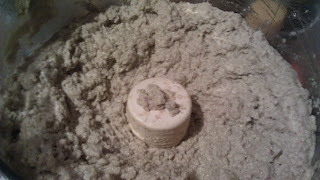 I reluctantly followed the recipe. I am so amazed! I LOVE it. 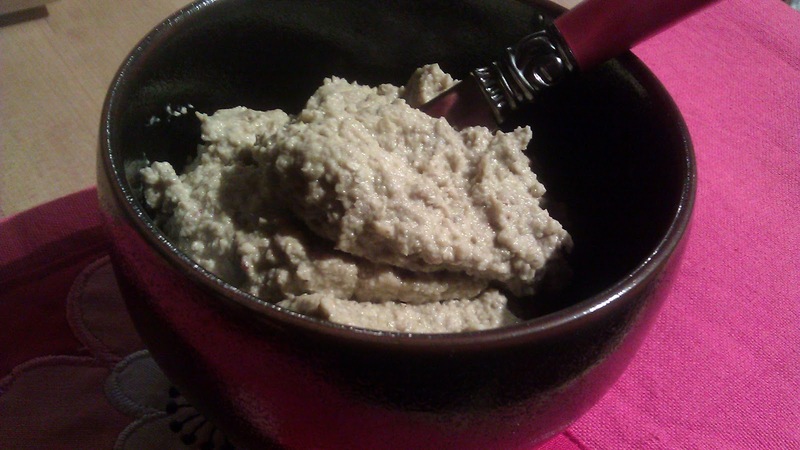 Ilene is right, I like this as much as I like real Chopped liver from Golden’s in New York. I will make it spread anytime! Hmmm I actually ate canned peas and canned green beans! Thanks you, my friend and Happy Rosh Hashanah to you, and of course, you too, Phyllis. 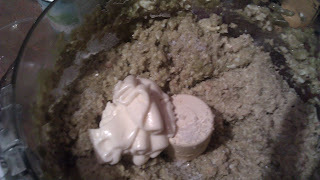 In the food processor, add in green beans, peas and onion mixture process till blended. Add in roughly chopped hardboiled eggs and 1 cup of walnut to start. Process and check for consistency. 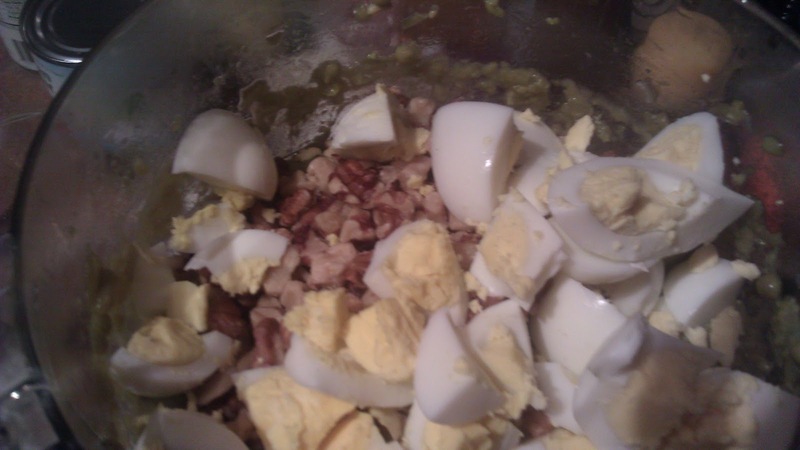 Add additional ½-1 cup of walnut and mayo. Season with salt and pepper. Process till the puree resemble the texture of chopped liver. Serve with matzo or crackers. Make about 2 cups. Use within 2-3 days.